United Democratic Movement leader and 2018 Presidential candidate Mrs Violet Mariyacha says if elected, her government will bring back the Zimbabwean dollar within a year. Her main worry, she said in an interview last week, was the current economic situation that “had brought a lot of suffering to the majority of Zimbabweans”. 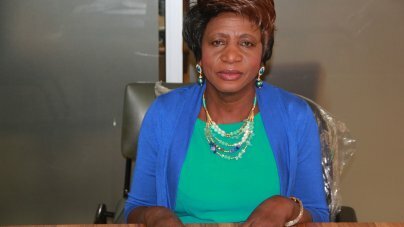 The 61-year-old human rights activist and businesswoman also said her working experience in the United Kingdom and United States equipped her to better appreciate how to create employment and stimulate economic growth. “In a year’s time, my government will have dealt with the issue of local currency and introduce our real Zimbabwean dollar,” said Mrs Mariyacha with great confidence of a victory. With regards to her currency plan, Mrs Mariyacha said she would not give elaborate details as she feared Zanu-PF would “steal” her ideas. “There will not be any queues of people seeking cash in banks when I am the one running this country,” said Mrs Mariyacha. “All the long queues will disappear. The strategy I have is the best. Unfortunately I cannot give that strategy through the media because by tomorrow morning, Zanu-PF will have implemented that strategy. It is a very simple strategy that will come from me as a businessperson and all the queues will disappear in a day. Mrs Mariyacha her government would give every Zimbabwean an equal opportunity to realise their dreams. UDM, which was formed in March 2017, has registered more than 100 candidates to contest in local government and national assembly elections. The party says it has the backing several independent candidates in areas it did not field contestants.